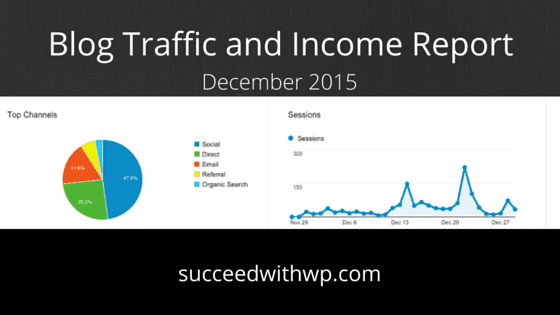 As promised in my first email to you, this is the first traffic and income monthly report. Yay! I have to admit, it’s quite nerve racking writing a transparency report. Especially one for the first 30 days of a website’s existence but that’s a big part of what this site is about. Showing you the real way to build a highly trafficked and income generating blog site. That said, I’m fairly happy with the progress and I’m looking forward to next month’s report already. Let’s get to it. Site went live with 3 posts on November 30th. 10 draft posts started (ideas baby). Traffic started at zero but as of today, I’ve gotten 2,986 pageviews. In the image below you’ll see that most visits came from social networks. Those were Facebook, Twitter, StumbleUpon and Pinterest. The direct visits were the result of me actually emailing people and sharing the link in private messages asking people to check out the site. The email visits were the result of the email I sent to a small portion of our FooPlugins customers. Referrals were other sites linking to SucceedWithWP.com and the result of me commenting on other sites and including this url. Organic search were visits from Google search results. When I first began thinking of building this new site, I started by researching. If you don’t know, I had two other sites dedicated to WordPress tutorials but these were focused more toward people who wanted (and liked) to get their hands dirty with code. 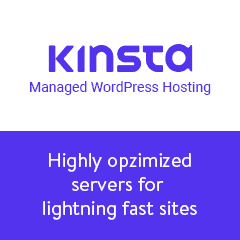 After joining several different blogging groups I quickly confirmed my suspicion that there are many people out there using self-hosted WordPress that don’t care at all about code and are using it for a pure blogging experience. Furthermore, they’ve heard you can make an income from blogging and are anxious to do so. Every group has different rules concerning self-promotion and it was (is) somewhat difficult to manage them all. However, I’ve found that simply being a proactive member and helping people with advice when I can, leads to natural curiosity about me and what I do. In other words, fill out the bio section of your personal Facebook profile with your elevator pitch and a link to your site. It’s important and people WILL look. If you need help organizing your Facebook group posts, check out Manda Northern’s free Facebook Group Post Planner spreadsheet. She recently shared this in a Facebook group and it’s super useful. I actively use six different Twitter handles with varying numbers of followers. All but two of these I would consider “leftover” handles from previous ventures but I still see some engagement so I make sure to post to them anyway. My main Twitter handle is my oldest one, @wpmodder. Most of my followers are there and the majority of them have some kind of vested interest in WordPress. I saw more Retweets on my Twitter profiles than I’ve seen in a long time. Another indicator that I’m publishing content people enjoy and can use. I created a post on the SucceedWithWP Facebook page just for boosting. I tried boosting an article link previously and didn’t see much traction, so I wrote a new post with some more compelling copy. This ran for just 24 hours and here are the results. The important part here is the number of “Post Engagements” or actual clicks. I paid $20 for 48 clicks to my site in 24 hours. That translates to $0.42 per click. Not bad. And looking deeper into my MailChimp list signup stats, I gained 24 new email list subscribers and members in that 24 hour period. Those numbers mean nothing in terms of income at this point, but they will in the future. Ok. I realize that most new bloggers won’t have access to an existing subscriber list, but that doesn’t mean you can’t leverage someone else’s list (see the cross-promotion section below). FooPlugins has been in business for almost three years. We have a large customer list. However, I sent an email promoting SucceedWithWP to just a small portion of that list by segmenting the campaign recipients and only sending to people who have shown an interest in building businesses, not just using our plugins. The content of that email was framed in a way that let our users know they were one of the first to be notified and that I was “pulling back the curtain” and revealing how I start, build, and succeed at WordPress-powered business building (and how they can too). I also performed AB testing on the subject line I used. 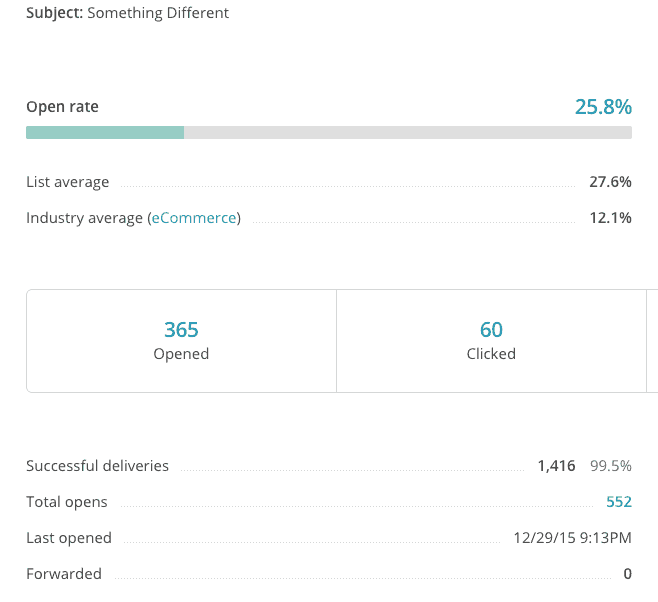 Below are the results of the winning subject line. The next step in leveraging our FooPlugins subscriber list is to do some deeper segmenting and send another campaign. This will happen in January. As you might have noticed by now, getting traffic and signups to a new site takes a lot of legwork and time. One of the areas I focused on this first month is to personally connect with people running related businesses in the WordPress community. More specifically, businesses that offer products or services that would benefit from being promoted on this site in one way or another. I’m still working on these cross-promotion deals but at least a couple of them look solid and will likely happen next month. Combined, these two companies have subscriber lists totally 90,000. As you can imagine, even getting a small portion of those users to subscribe or become members on this site will be a big win. And keep in mind, nothing on this site is really monetized yet except for a few affiliate links in my tutorials. This is what you’ve been waiting for right? Drum roll please! But that was completely expected. I have no products for sale. I don’t have the traffic required for passive affiliate link clicks. I have no premium membership subscriptions. Yet. All of the time and effort I’ve spent so far has been used to create and solidify the framework of this business. This is not a get rich quick project. It’s about creating a sustainable, long term and reliable income by providing quality content and advice for others. Patience and perseverance is key. SiteGround is my preferred host. I use their GoGeek plan. You should too. Canva is free and you should start using today. I pay for their Canva for Work plan and here’s why. I’ve tried others and keep coming back to Hootsuite (Buffer is also awesome). If you want to try Hootsuite Pro, use this link to get a free 30 day trial. Overall, I’m pleased with the progress of this site so far and the engagement I’m seeing from visitors but I’d like to see more activity in the member forums. I think that might be one of the biggest challenges I’ll face in the coming months. It’s no easy task to compete with Facebook groups, but it’s possible with the right incentives for members only. More tutorials, more social engagement and more cross-promotion with other sites will continue to be my focus over the next 30 days. I just have to keep getting the word out at this point. As always, I appreciate you following this journey and welcome your feedback, encouragement or advice. Have a question about this tutorial? If you have questions about this report please ask on my forums or leave a comment below. Congratulations on your first month. I just realise again I have so much to learn. Thank you for sharing your experience. Thanks Rolene, sharing my experience is a big part of what this site is all about. It also looks like you’re doing great things on your site too! This was great and informational. I just started my blog a couple months ago and I am going to check out some of the things you tried. Thank you. Hi Misty, thanks for stopping by. I saw your site and it looks great for being just a couple months old. As you get deeper into getting traffic and then monetization, you might consider moving to a self-hosted WordPress installation. You get some more freedom with the plugins you’re able to use. Great idea about giving advice on different forums and grow curiosity and traffic that way. Thanks Linda, and as I said on FB, great images on your site. One thing I noticed though, clicking your images opens them in a new tab. You might think about having them open in a responsive lightbox using FooBox Free (link below) or FooBox Pro like I do for my images above. Click one and you’ll see what it does. Wow! Great results on the traffic! WordPress knowledge is a super big barrier to new bloggers and this is a much-needed resource. I know you will have no problems when you decide to monetize this blog because people need all the WordPress help they can get. Also, thank you so much for shouting me out!! I’m so grateful. My favorite resource for basic WordPress usage is WP101. No one can compete with these tutorials. They’ve become the goto standard in how to use the built-in WordPress features. Bonus: I’ve also personally met with Shawn Hesketh, the creator of WP101 and he is a stand up guy providing for his family with this business. Definitely worth a look and worth the investment. This was very informative. I plan to implement a lot of your resources and tools into my blog as I move in 2016!! Thank you for writing this all out – it was incredibly interesting and educational. I started a blog two weeks ago and feel like I’m fighting for every page view. It sounds like you had a leg up because you had prior connections to view and bring traffic to your blog. Do you have any suggestions for those of us who are starting from zero and not in the industry we’re blogging about? (I am a teacher by profession, writing a pop culture blog. I have no connections in the pop culture industry) Thank you and I look forward to reading more of your posts. Hi Michelle and thanks for taking the time to comment, most appreciated. Fighting for every page view is part of the process, but I would caution you to not get consumed by looking at your stats all the time. I know, I actually struggle with that but it’s also part of my reporting so I kind of need to check them but I have to limit myself. You’re right that I did have a leg up with my existing followers, subscriber lists etc. but please know that I was only able to leverage those things because I had put the time in building those communities for several years. If you’re not in the industry you’re blogging about, my best advice is to get there. 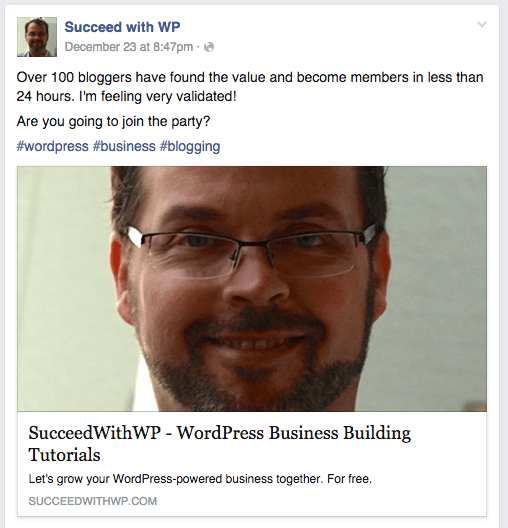 As an example, I’m in more than a dozen WordPress-focused Facebook groups, forums, etc. but the focus of this site is less toward people already familiar with WordPress and more toward your average blogger trying to build a business or at least monetize it in some way. This is why I purposefully joined “blogging” groups and started interacting there. And it’s not just enough to start posting your links. The real value comes from helping people with whatever you can…that could simply be an opinion or how to do something specific in that niche. You could also look at it as building authority. In the pop culture niche you’re in, I would imagine that if you had some solid opinions on a certain TV show, movie, etc. that people will be naturally curious to learn more and visit your site. In addition to the above, you have to pay great attention to your site layout and specifically the way in which you offer email signups. It all starts with the list. Let me say that again. IT ALL STARTS WITH THE LIST. Building your subscriber list with an email marketing service like MailChimp or others is key to your future success. Not only can you setup the standard “send to list when new post is published” but you can also send email campaigns to the same list (or a segment of it) that tells them about something else (like an affiliate link that you make a commission on). I hope that helps a bit, and if you want to get deeper into asking questions and getting my personal advice, I welcome you to join my site (it’s free) and start posting and interacting on my forums. Of course, I’m always happy to reply to comments too, but the forums are where I can get a bit more detailed with replies, links, and how-tos. Good ideas. Thanks for sharing what is working for you! Facebook groups are great, but I have a hard time finding the right one for me. I find your effort commendable and your numbers impressive… 🙂 I also believe minimizing comes in time. Thanks for joining in Lori. Getting those natural search results can take time for sure but there are some things you can do to help Google index your posts a bit faster like submitting your Sitemaps to the Search Console (formerly known as Webmaster Tools). There are some great tips here. My site is new too, only a couple of months old. 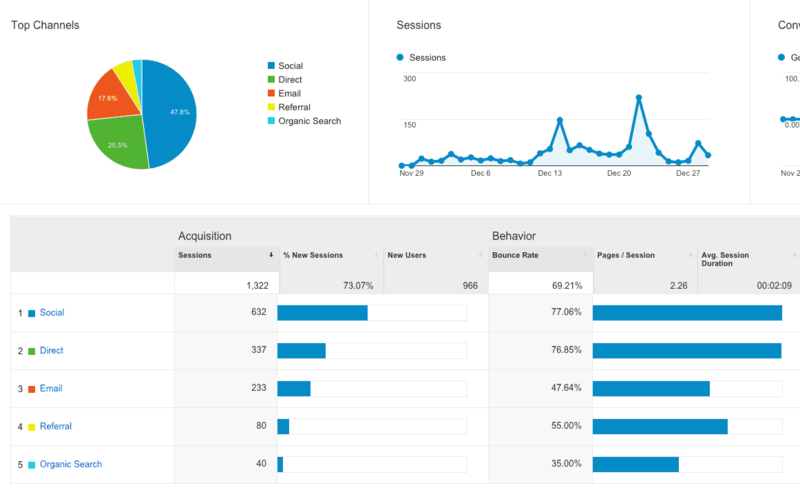 The thing I struggle with most is getting traffic, however I do see it increasing gradually as I learn. I see you did a boosted post on fb, the thought of doing that terrifies me but I’m writing a ton of content this month and launching my first workshop in the spring (yikes!) so I need to get over that. Your progress is inspiring!! Traffic is tough, especially for a new blog but it is possible to gain momentum quicker by utilizing Ads like doing boosted posts on Facebook. Your comment reminded me to write up a Draft post on how I boost my FB posts and one little “trick” I learned about recently that is helping me get more organic reach on Facebook too. Look for that post in the next few days. It’s refreshing to read one of these blogging recaps without feeling incredibly inadequate. It takes time to build a business and a blog, I realize that deep down, but then I’m inundated with posts about making a million dollars in three months or whatever. Anyway, nice read. Good luck with your blog! Such a detailed account of your month that’s for that. I do have one question as far as the emailing people goes how did you get their emails and decide who to email? All the emails on my list come from opt-in forms on my site here and some other sites I currently run as well as some sites I used to run. Email subscriptions lists take time to build, but once you have them, you can promote things other than just your blog posts (like a new site or project). Deciding who to email comes from the “segmentation” feature of MailChimp. I collect more than just the email address…things like interests, products purchased, etc. and then can send emails to only those people I think would be interested in any particular email campaign. Congrats on the nice traffic after one month! Thanks Ariel, and I’ve checked your site…great stuff you’ve got there! Keep up the good work! Good luck with the project! I stopped by to admin that I stole you cross-promotion idea, so if you wanna brainstorm over a partnership with codeinwp, let me know by email. Cross promotion always helps:) I’ll shoot you an email and we can discuss our options together. Appreciate you sharing the information, Adam. And I respect your courage to post an income report with zero income. Many popular income reports post huge numbers month after month, and it’s easy to forget that they started at zero. It can be discouraging (if we let it). I admire your passion for building a quality resource, and not just another get rich quick affiliate marketing blog. I look forward to your future content. Thanks for the kind words. As you know, the goal here is to show people how starting from scratch and building IS possible by being patient and focusing on quality. It’s admittedly hard to do, even for me. I want badly to report massive growth and income next month but I know that’s not the norm and I want others to know that too. Also, your site and it’s content are amazing. It’s a great resource and includes a lot of post content around WordPress and YouTube that I haven’t seen before. Nicely done!